Coyotecreek HQS was formally the Quiltlocker and was established in 2011 after a move from Virginia to Pierre South Dakota, where the owners had a Quilting business for over 25 years. It did not take much persuasion to become a Gammill dealership after owning and operating a Gammill Long Arm for the past 15yrs we are very aware that this is the best machine in the business. There are several things that make us passionate about quilting, is it that not one quilt is the same, some can look the same but not one will hold the same memories of those that own them, getting to work with people to bring those stories to fabric and a final product to be passed down for generations, it gives us great joy and pride to know that a college student will take his or her T-shirt quilt to collage as a reminder of where home is, or to know that it will bring some comfort to a person in need, or given as a gift to be cherished for a lifetime or to support our own memories of our life together as we have many quilts in our home that Holly has made for all of us and each stich is a memory of the past. So as you can see we are passionate about quilting for a lot of resins. 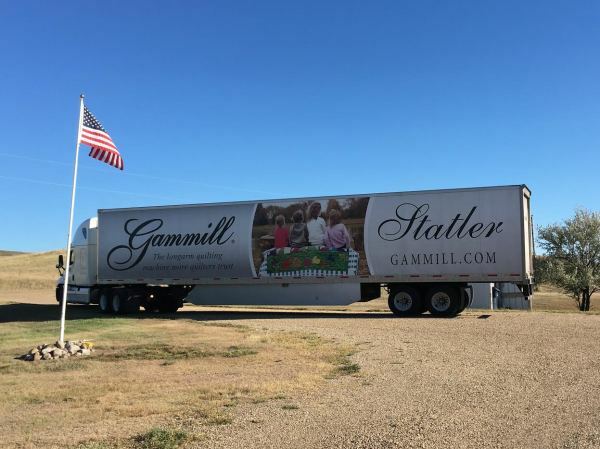 Gammill is not just a lifetime Long Arm Machine it is a generational Machine to be passed down, it has always held the standard to witch other companies try to reach, it has kept up with technology but has never compromised its quality while doing so. After spending over 28 years in the U.S. Navy I know first-hand about being a Team and working towards a goal and after meeting the Gammill team I know they are working on one goal and that is the customer and that the customer is taken care of by providing the best products and support available.